Beavercreek native, Patrick Sartin, is a 2002 graduate of the Culinary Institute of America. He has worked extensively across the hospitality and food service fields alongside talented culinarians, including two stints under ACF Certified Master Chefs. Patrick has made a name for himself working in the industry across the US, from Colorado to Maine. From his travels, he has honed his skills to produce a wide variety of dishes using foods indigenous to the diverse regions and cultures of the world. Harvest Mobile Cuisine is committed to providing our customers with the highest quality ingredients responsibly sourced from our local partners. We are proud to offer eco-friendly, disposable servingware produced from recycled, compostable, or biodegradable materials and made in the USA. Much of our waste is recycled or composted to divert it from landfills and return nutrients back to the earth. Through our sustainable practices, we strive to reduce food waste, eliminate the use of disposable plastic and styrofoam, and nourish our community for generations to come. Products are made entirely from plants — not petroleum. Disposables are just as strong as petroleum-based plastic, but will compost in a commercial facility in 50 days. This line of annually renewable containers is made from resources that can be replenished naturally within one year. All products are BPA-free and compliant with FDA standards for food contact and food safety. These 100% recyclable pulp based products have added water and grease resistance, providing functionality and a sustainable alternative to traditional food packaging. Darnel Naturals are BPI (Biodegradable Products Institute) certified as 100% compostable. 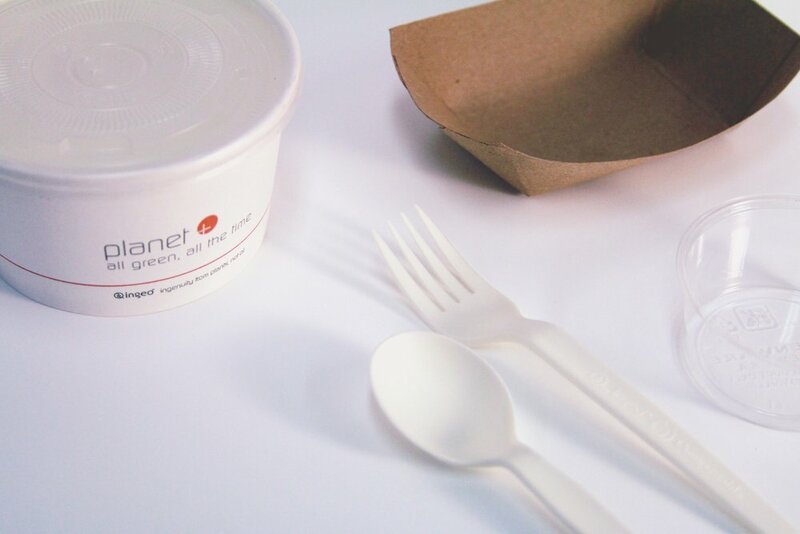 Eco-friendly cutlery made from all-natural and sustainable resources is 100% certified compostable per ASTM 6400 and BPI standards. Products made from all-natural and sustainable resources are fully compostable within 90 to 120 days in commercial composting facilities.